Many brides-to-be put in a little extra effort before the big day to make sure they look their best, but what about the bridesmaids? If you’re not sure how to walk the line between asking your ‘maids to look presentable and requesting that they get an extreme makeover, take a look at our top tips for talking to your girls about their wedding look. 1. Share your expectations early on. While most women are aware that they’ll be expected to look pulled-together when they agree to be a bridesmaid, but having all the details is really helpful. So tell your girls what you’re thinking for hair and makeup (and let them know how much it’s going to cost!) as soon as possible. This will prevent drama if anyone suddenly gets pink hair extensions or a neon yellow shellac manicure the morning of the wedding. 3. It’s one thing to ask a friend to wear a specific hairstyle on the big day, but it’s not cool to dictate her look the rest of the time… Asking that your friend not cut her hair so she can rock the updo you love might not seem like a huge deal, but it probably means she doesn’t get to look how she wants for quite a while before your wedding. 4. Know that your friends want to look their best on your big day too. 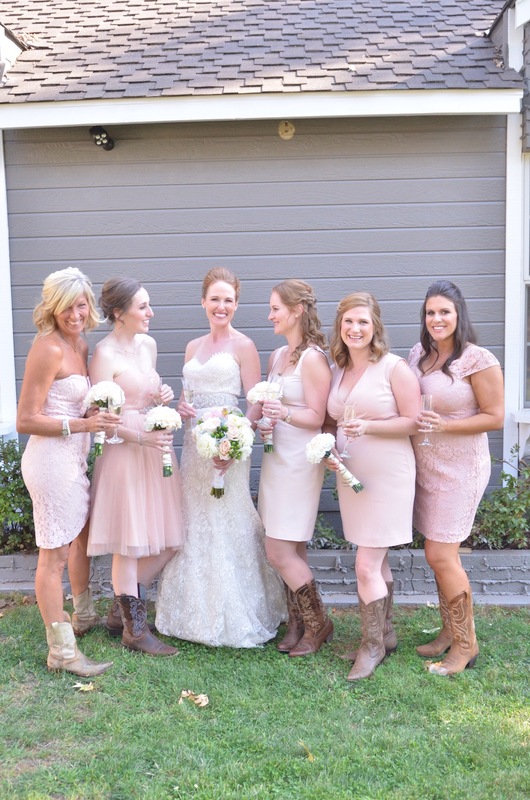 Sure, it’s not all about them, but being a bridesmaid can make a gal feel very much on display — from the long walk down the aisle, to the toasts, to the pictures, she knows that she’ll have more eyes on her than if she were a guest. So focus on helping her feel her best before you get carried away with your own plans.